Former NRL premiership player Jamie Soward has voiced his disagreement with Cronulla Sharks captain Paul Gallen on Valentine Holmes' return to the NRL. After news broke that Holmes intended to try his luck with the NFL, an irate Gallen suggested that his former teammate should be banned from making a return back to the league. However, speaking on Sports Sunday, Soward suggested that if Holmes wants to make a return, he should be allowed to do so. "I think Gal is one of the most important people in our game in terms of speaking up for the players, but for me (Holmes) should be allowed back in the game," he said. "Six international players get the opportunity to go to the NFL which is one of the most marketable brands in sport, maybe the most marketable in the world. "He gets an opportunity to go there. It's not dream-chasing, it's an opportunity." 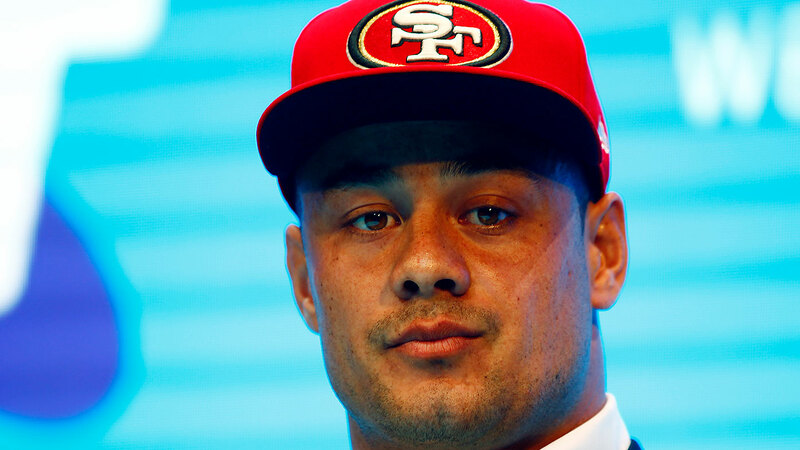 Soward also called Jarryd Hayne's stint with the San Francisco 49ers back in 2015 a success, and stated that the NRL does not have the luxury of pushing away one of its most popular athletes. "If he wants to come back to the NRL, why are we pushing those players away?" he said. "I get the contract side of things but every year clubs push out players due to salary cap restraints. "Are we upset that Val has walked out on a contract, or are we upset that he's doing it a different way to what we're used to?"